I’m doing a blog tour to celebrate the new release of my short urban fantasy m/m/m romance, Ties That Bind! Comment with your email address below to be entered in the giveaway! The winner will be able to choose between an ebook copy of Hard Truths or an Audible download of Magic Runs Deep! Selection will be made Sunday, April 28 at 7pm. So for April, I decided to take part (hypothetically) in Camp Nanowrimo, but instead of aiming for 50K, which just wasn’t going to happen in APRIL, I aimed to work on writerly stuff 30 minutes a day. So writing blog posts (good! ), working on edits (if it happened! ), and planning marketing stuff (er…) all were counted. The problem became in the actual counting, because I started off strong and then just…sorta…lost count. Some days worked an hour, some days didn’t. Some days stared at the TV and pondered life. So I haven’t gotten as much done as planned. (No one is surprised.) But I have worked on stuff! My fantasy WIP is coming along slowly. I did some revision brainstorming for my light fantasy that’s in edits (which was supposed to be my focus this month. OOPS). I’m really contemplating character growth and pacing, so it has me a bit jammed. I got very much distracted by a submission call that I’m not going to finish in time, most likely. And in less than a week, I’ll have Ties That Bind coming out! Which you can still preorder for 36% off! I’m happy to announce that Ties That Bind is now up for preorder on Less Than Three Press’s site! The cover will be coming soon, and the book releases April 23. If you follow me on Twitter, you might have seen me posting a lot about this story for the LGBTRelease tag. These boys are magical, and I hope you’ll join them on their little journey! On this, the longest night of the year, I like to take a moment to remember those people who bring light into my life. This has been a difficult year for me, and I’ve probably been difficult to be around sometimes. As always, this isn’t a list that includes everyone–maybe because I’m forgetful, maybe because I’m oblivious. The point is that there are people on my list, and I’m sure you’re on someone’s list as an important point that brings light. My crew who introduces me to more new anime every year, and who put up with me showing them my favorites as well. You fill my weekends and make me laugh. What more could I want? My tabletop crews who really do fill every weekend. You guys give me a chance to escape myself, and even though I might go mad as we try to schedule and I try to control everything, I really do have a blast. I look forward to these adventures, which let me write without fear of failure (that’s what the dice are for). My family is always supportive and there, often in small ways. They might drive me nuts sometimes, and I might get frustrated with them, but we’re family and we’re there for each other. My new riding buddy. It’s so nice to have a fellow adult to talk horses with (who isn’t the riding instructor), who lives nearby. You’ve given me a hand when I need it, and hope I’ve done the same for you. Michelle and Reesa, who I spent a glorious evening with, eating and laughing. I wish we could spend more time together like that! It was the best part of my vacation (and it was a pretty good vacation). May all your days be as bright as the light you’ve brought to me. Magic Runs Deep has an audio book! 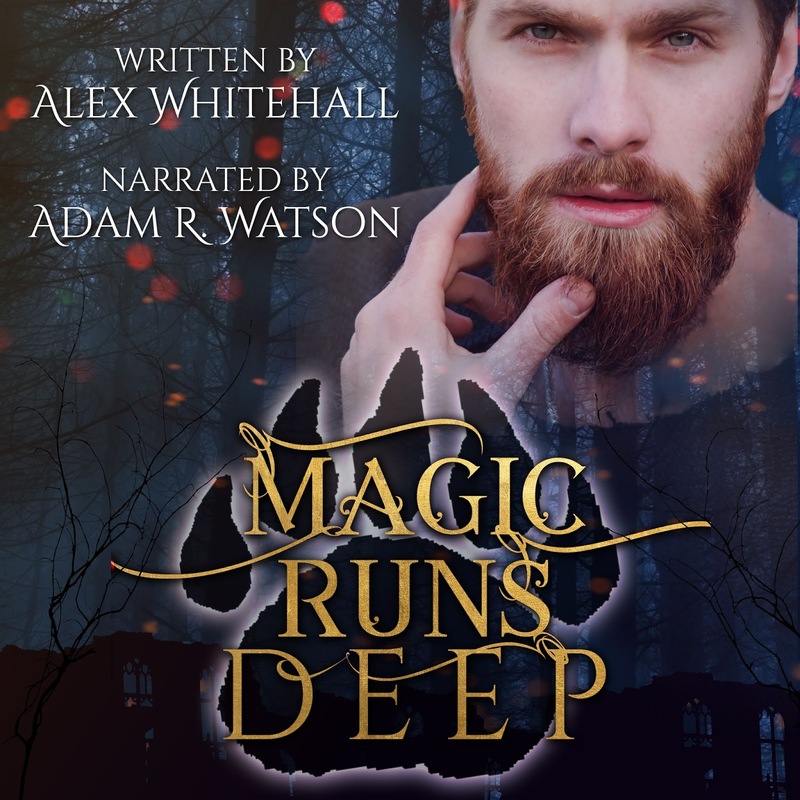 In exciting news, as the header might have clued you in, Magic Runs Deep has been made into an audio book. You can find it on Audible, Amazon, or iTunes! The narrator is the lovely Adam Watson, who was a pleasure to work with, and brought just the right voice to Veier and Elrid. I hope you’ll find, just as I did, that he brings the story to life!